“Fine messes”, “just wars”, “reliable rumors,” and American political “science.” I get a kick out of fun oxymorons. Okay, that last one isn’t so fun. It’s just painfully true. Let me explain. Haidt may be a Liberal, but he’s also a psychologist. He understands what it means to live in an echo chamber, and how dangerous it is to do so. Haidt’s point ends up being this: Liberals’ roles are to tear down faulty institutions and conservatives’ roles are to keep the ones that work. It’s an intricate balancing act -- Haidt even compares it to the yin and yang of Daoist mythology. American politics is in such a rut because too many liberals and conservatives hate each other’s guts. Now more than ever, our country is divided. Donald Trump’s election has resulted in not just a proposal for a border wall, but a real wall -- a partition between helpful conservative beliefs and helpful liberal beliefs. It’s so bad that in some parts of the country, “liberal” or “conservative” have become dirty words. They shouldn’t be. We need both. Just like Haidt, I’m firmly in the liberal camp. Both my parents are liberal, my father even radically so. But that doesn’t mean I should hate the other side. If the liberal’s role is to tear down the faulty institutions, then I should reserve my hate for the parts of “the other side” that need a wrecking ball and maybe even some dynamite for good measure. Apply the change not liberally (pun intended), but discriminately so. For example, the free market is an institution worth keeping. Even Bernie Sanders, the patron saint of college socialists, would never propose something as radical as completely dismantling the free market. Despite its flaws, while plenty, there’s no denying the sheer efficiency of mostly unrestricted trade. The free market is the one of the most criticized aspects of America mainly because it is most successful. What are the institutions worth dismantling? In my opinion, there are many. The idea of traditional marriage is a good example. In 2015, the voice of the left, and even much of the right, agreed that to keep gay marriage illegal was to stay on the wrong side of history. So, it was changed. In the wake of the Las Vegas shooting, the idea of gun control has once again sprung to the forefront of conversation. If it is popular enough, then it too shall change -- a triumph for liberalism. It may seem like there are exponentially more ideas worth changing than keeping. Indeed, it’s true. But this shouldn’t be misconstrued as a failure on conservatism’s part. Ideas become outdated or stop working. In the case of gay marriage, the idea was always wrong. Consequently, it’s easy to blame conservatism for everything wrong with America. After all, aren’t conservatives the ones supporting these archaic ideas? True, but they are not unique in doing so. Every established idea has had at some point popular support. Conservatives supported it, and liberals too. Yes, the ratio is skewed. And yes, the bad ideas often outnumber the good. But that’s not a terrible thing. That’s progress. 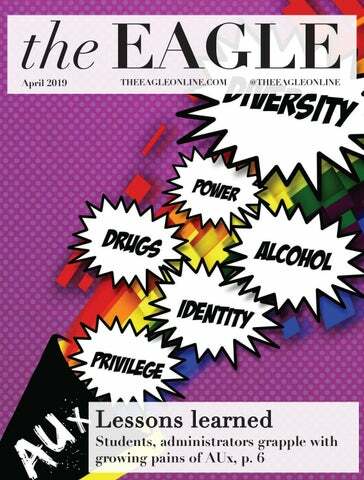 Noah Cohen is a freshman in the School of Communication and a staff columnist at the Eagle.